This may be a strange article for me to post, being that I have long been a real evangelist of Photoshop Elements, and long time user of both its Editor and the Organizer. Believe me, I still am, and it continues to be the program I use to manage my thousands of images and video clips, as well as doing the lion’s share of my photo editing. Photoshop has long been the program that many Elements users either wished they could upgrade to for a variety of reasons. But the steep, upfront entry price ($200+ for a student upgrade) stopped many from taking that next step. Especially since Photoshop Elements does such an excellent job at both managing and editing photos. In recent years Adobe’s Lightroom program has grown tremendously in popularity. Lightroom was designed with professional photographers in mind as a program to manage their large number of images and provide some basic editing capabilities. In more recent versions, its photo editing capabilities have grown substantially to the level that many Photoshop users find that they do the primary photo editing in Lightroom without needing to ever open Photoshop. As you probably know, several months ago Adobe began offering the professional Creative Suite programs such as Photoshop CC and Lightroom 5 exclusively for rent/lease via their cloud based Creative Cloud. Many long time users were not and are still not fans of this new approach. I do not fall into that camp. Even though I had previously installed the box version of Photoshop CS6 and had installed Lightroom 4 on my computers, I opted in to renting Photoshop CC for $9.99 per month for the first year. Shortly after that Adobe added Lightroom 5 to the mix at no extra charge. I have been extremely happy with this arrangement. The ten dollars deducted from my bank account is down in the noise. Now, until the end of March, Adobe is again offering both Photoshop CC and Lightroom 5 for $9.99/month. And there are no pre-ownership requirements required. This offer is open to everyone. Don’t get me wrong. I am not abandoning my use of Photoshop Elements, nor do I think all Photoshop Elements users should add Photoshop CC and Lightroom 5 to their digital photography toolbox. 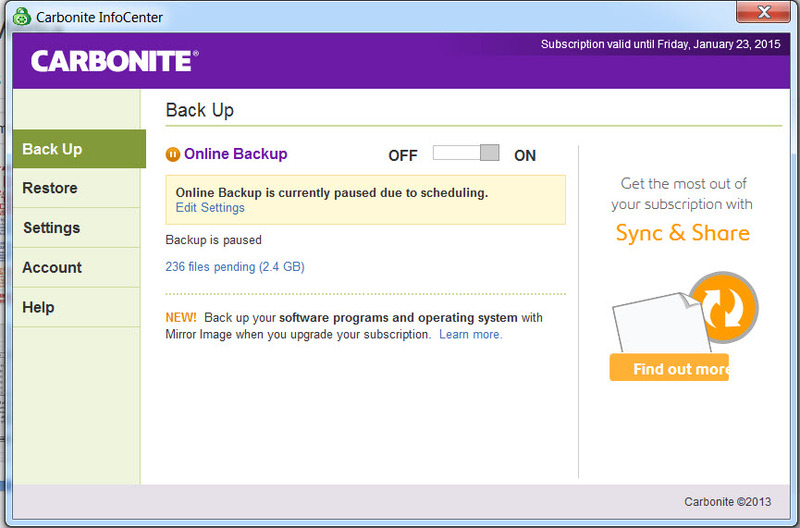 But I know there are plenty of you out there who have thought about upgrading to one or both of these programs. Maybe you already have and are using an older version. Now might be the time to upgrade. To find out more and/or download the programs, click on the link below. Let me know what you think about the idea of upgrading to Adobe’s Creative Cloud concept by leaving a comment below. Have you done it already? Are you planning to? 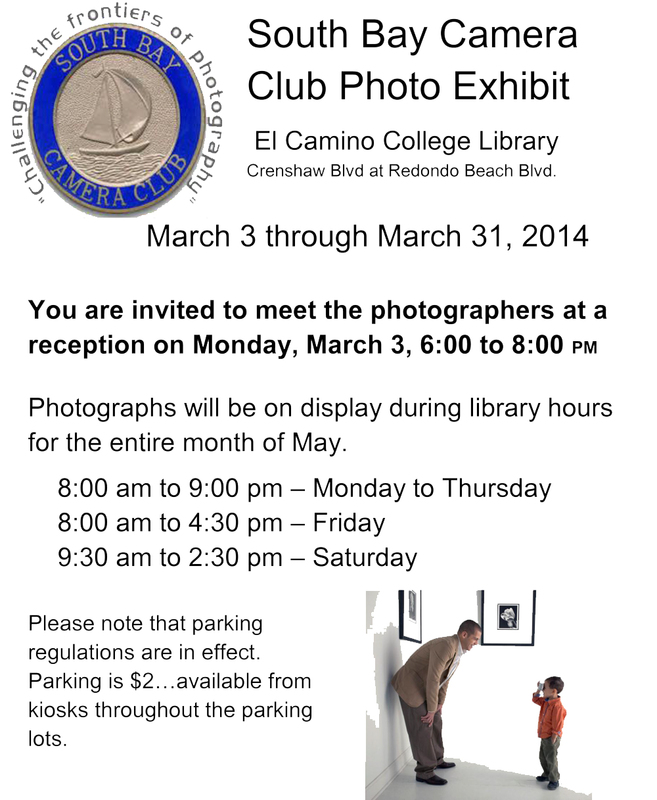 The South Bay Camera Club will have a photo exhibition in the Library of El Camino College beginning March 3rd. Everyone is invited to come and view some truly outstanding works of photographic art produced by club members. The photos will be on display the entire month of March. Adobe Fridays Class Registration is Now Open! You can now register for any of the classes I’ll be teaching as during PVNET’s Adobe Fridays by clicking on the link below. Remember the Lightroom 5 Level 1, and the iPad/iPhone for Photography classes start Friday, March 7th. The lab session between classes (5:00-6:00 pm) is open to students in both classes to get extra help or just to work on your class projects. Class space is limited. Also, please see the description and class requirements by clicking on the link below. This is a big thing for PVNET, frankly for me as well. So you have to forgive them for going a bit overboard on their reference to me. What I’m most excited about is that I will be able to teach a beginning class in Lightroom for the very first time. 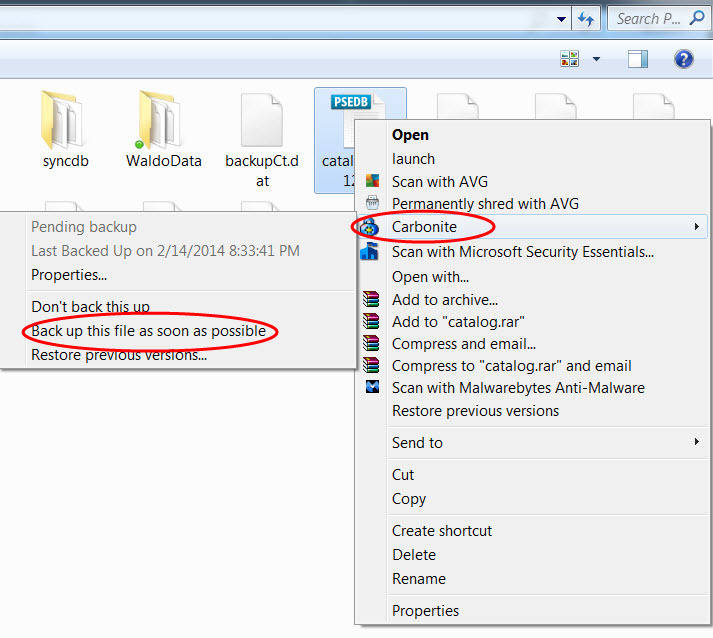 Yes, you will have to bring your laptop with the software installed. I’m hoping that enough of you have a laptop that you can install Lightroom on. Remember, you can install it on two computers. All of the classes shown are four weeks long. You may want to download the 30-day free trial of Lightroom to use in the class. For those of you who are not that familiar with Lightroom, think of it as a more robust version of the Photoshop Elements Organizer with a growing photo capability to also edit your photos. In fact more and more professional and serious Photoshop users are flocking to Lightroom, and using Photoshop less and less. The Level 1 class is for those just starting out with Lightroom or just want to see what it is all about. Registration information for all of the courses shown should be posted here and the PVNET website any day now. Lightroom Level 1 and the iPad/iPhone Photography class start March 7th. I have been teaching digital photography classes for PV NET the last few years. In my last post here, I listed the courses I will be teaching there during the next three months. As I described in that post, the structure/schedule of the classes is new and include a lab session shared by the classes meeting before and after it. See my earlier post for more details. 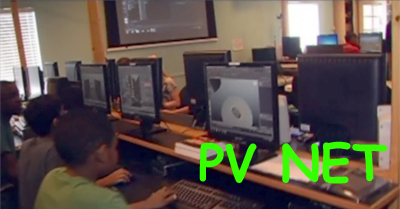 But what is PV NET, itself? For those of you how are not familiar with it, the video linked below is a great way to find out just what goes on there. They have been around for several years with sponsoring classes and internships. Coming very soon are classes in 3D printing, one of the new and exciting technologies. Check out my previous post for the classes I will be teaching starting in March, including a basic class in using Lightroom for laptop users.